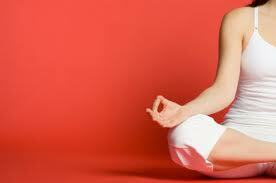 More than 2000 years old, yoga is just beginning to gain respect in conventional medicine and practice. It is being used in medicine, and is now receiving much attention as a 21st century ‘ancient solution’ for modern illness. The ancient lifestyle practice of yoga predates written history, and in many ways, as one the oldest forms of medicine – it is the last to be (re)discovered. However, using yoga in medicine necessitates a close look at the latest research in order to make it safe and effective. The fifteen precepts of the medical therapeutic yoga program and Professional Yoga Therapist certification offered through Medbridge Education and Professional Yoga Therapy Studies provides a systems approach biopsychosocial model for rehabilitation and wellness programming. The post-graduate certification covers lumbopelvic and scapulothoracic biomechanics, psychoneuroimmunology, neurovascular mechanics, neurophysiology, behavioral cardiology, and neuroendocrinology as part of its comprehensive yoga training program for medical professionals. Earn integrative medicine CE’s with Ginger through Medical Therapeutic Yoga Part A and B, offered as part of the Medical Therapeutic Yoga Certification in partnership with Medbridge Education and Professional Yoga Therapy Studies. Ebnezar J, Nagarathna R, Yogitha B, and Nagendra HR. Effects of an Integrated Approach of Hatha Yoga Therapy on Functional Disability, Pain, and Flexibility in Osteoarthritis of the Knee Joint: A Randomized Controlled Study. The Journal of Alternative and Complementary Medicine. May 2012, 18(5): 463-472. doi:10.1089/acm.2010.0320. Yadav RK, Magan D, Mehta N, Sharma R, and Mahapatra SH. Efficacy of a Short-Term Yoga-Based Lifestyle Intervention in Reducing Stress and Inflammation: Preliminary Results. The Journal of Alternative and Complementary Medicine. July 2012, 18(7): 662-667. doi:10.1089/acm.2011.0265. Vadiraja HS, Raghavendra RM, Nagarathna R, Nagendra HR, Rekha M, Vanitha N, Gopinath KS, Srinath BS, Vishweshwara MS, Madhavi YS, Ajaikumar BS, Ramesh BS, Nalini R, Kumar V. Effects of a yoga program on cortisol rhythm and mood states in early breast cancer patients undergoing adjuvant radiotherapy: a randomized controlled trial. Integr Cancer Ther. 2009 Mar;8(1):37-46. Epub 2009 Feb 3. This is really very nice.Thanks for sharing. Thank you, I am glad you found it useful! Thank you for taking the time to visit and to comment. Most appreciated! Thank your for sharing such information. Great Article! Thanks for the info on the new app! I’ll have to check it out. Absolutely! Yoga is so mean to individual life and much more than stretching. I think that many people don’t realize that it’s only one part of much practice. And yoga definitely makes me more passionate and fill positivity sometimes too in my life. Well composed articles. You’ve written an informative article. I can ultimately agree with as well as make use of. Thanks for sharing this useful article. Thanks for getting the word out about integrative medicine and yoga! Thanks for being an integrative medicine and yoga advocate Medbridge!